“My name’s Stuart Ransom Miller. 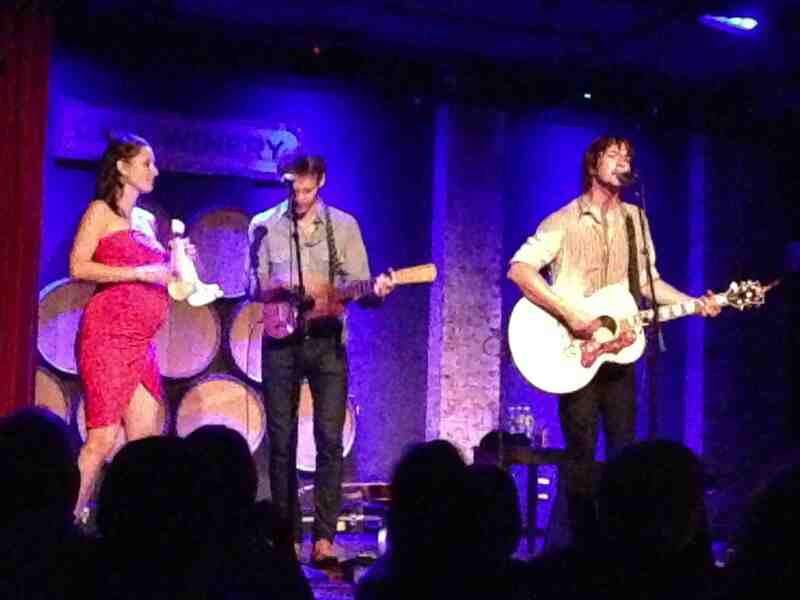 I’m a serial lady killer,” sang Rhett Miller last night at City Winery–a cool, sophisticated venue–with the whole of his audience acting as an enthusiastic back up singer. If the crowd seemed older, well, there’s no hiding that Rhett Miller has gotten older, too—and wiser, and better looking, if that was even possible. In fact, Rhett’s handsome looks come across more acutely in person than in these photos (thank me later). The front man of the sometimes called “rockabilly” Old 97’s, Rhett wore a white shirt with fine detailing and tight black jeans over his long, lanky legs that he likes to shake around during his performances. He waves his hips around so much, he actually creates a certain rhythm with his gyrations to complement his expert guitar playing. He swings his right arm like a helicopter blade over his guitar and play-play-play-plays the chords. And he bangs his head during instrumental solos, exuding a “lost in the music” vibe. He started the show with a song off his latest album, The Dreamer, called “Lost Without You,” a beautiful melody. He also played a number of Old 97’s favorites, including “Barrier Reef,” “Timebomb,” “Solame,” “Big Brown Eyes,” “Just Like California,” and, of course, “Question,” taking the songs in quick succession, pausing just a moment or two and cutting off applause to get the next tune started. All of his singing showcased the unique timber of his voice, and, on some songs, he even broke out into a little bit of vibrato. I was impressed, to say the least. As the show went on, Rhett’s once-pristine shirt became increasingly drenched and his hair likely sent drops of sweat into the front row of patrons as he head-banged away. He shared with the crowd that he sometimes—and rather innocently—lifts lines and melodies from unsuspecting (or sometimes suspecting, in the case of Bob Dylan) writers. His song “Champaign, Illinois” features a Bob Dylan melody, and you probably never knew that—well, now you know. 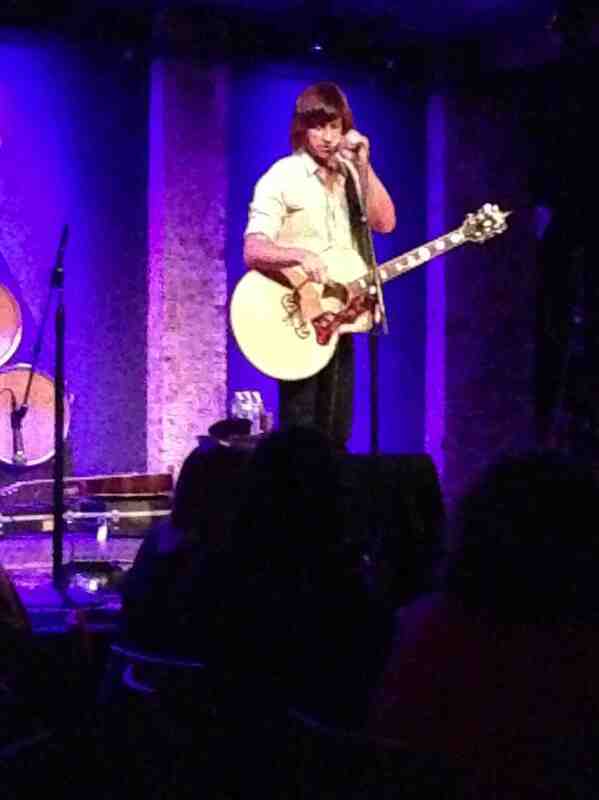 The show was awesome, and the hostess told me that Rhett plays City Winery pretty often. I guess that won’t be happening any time soon as he mentioned that he’s going to Texas in the coming days to work on a new Old 97’s album. I suppose we’ll just have to see him when he returns.